Cyper WSP is an economical pyrethroid that provides fast knockdown and residual control of more than 30 different pests. 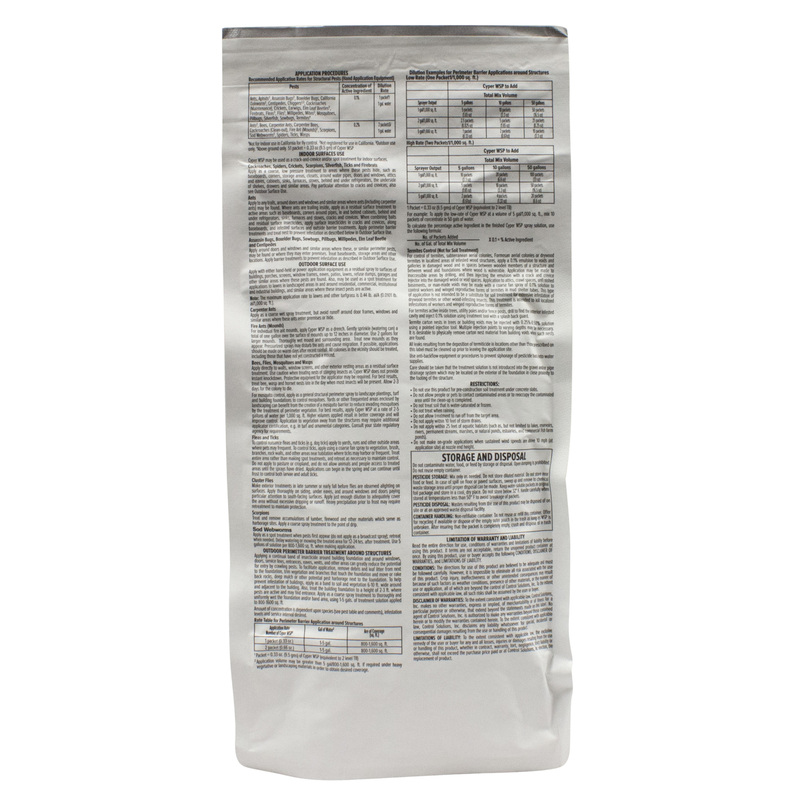 Control ants, spiders, cockroaches, and other insects using 40% Cypermethrin contained in 4 water soluble packets (WSP) per envelope. Cyper WSP is comparable to Demon WP. Available in envelopes containing 4 x 9.5 gram WSP and a box containing 12 envelopes with a total of 48 WSP. Also available in a 1 lb pail. Cyper WSP may be used as a crack-and-crevice and/or spot treatment for indoor surfaces - Cockroaches, Spiders, Crickets, Scorpions, Silverfish, Ticks and Firebrats. Apply as a coarse, low pressure treatment to areas where these pests hide, such as baseboards, corners, storage areas, closets, around water pipes, doors and windows, attics and eaves, cabinets, sinks, furnaces, stoves, behind and under refrigerators, the underside of shelves, drawers and similar areas. Pay particular attention to cracks and crevices; also see Outdoor Surface Use. Assassin Bugs, Boxelder Bugs, Sowbugs, Pillbugs, Millipedes, Elm Leaf Beetle and Centipedes. Apply directly to walls, window screens, and other exterior resting areas as a residual surface treatment. Use caution when treating nests of stinging insects as Cyper WSP does not provide instant knockdown. Protective equipment for the applicator may be required. For best results, treat bee, wasp and hornet nests late in the day when most insects will be present. Allow 2-3 days for the colony to die. Make exterior treatments in late summer or early fall before flies are observed alighting on surfaces. Apply thoroughly on siding, under eaves, and around windows and doors paying particular attention to south-facing surfaces. Apply just enough dilution to adequately cover the area without excessive dripping or runoff. Heavy precipitation prior to frost may require retreatment to maintain protection. Apply as a spot treatment when pests first appear (do not apply as a broadcast spray); retreat when needed. Delay watering or mowing the treated area for 12-24 hrs. after treatment. Use 5 gallons of solution per 800-1,600 sq. ft. when making application. Applying a continual band of insecticide around building foundation and around windows, doors, service lines, entrances, eaves, vents, and other areas can greatly reduce the potential for entry by crawling pests. To facilitate application, remove debris and leaf litter from next to the foundation, trim vegetation and branches that touch the foundation and move or rake back rocks, deep mulch or other potential pest harborage next to the foundation. To help prevent infestation of buildings, apply as a band to soil and vegetation 6-10 ft. wide around and adjacent to the building. Also, treat the building foundation to a height of 2-3 ft. where pests are active and may find entrance. Apply as a coarse spray treatment to thoroughly and uniformly wet the foundation and/or band area, using 1-5 gals. of treatment solution applied to 800-1600 sq. ft. Extremely potent material. Ingredients (1 Package) when mixed with 1 Gal of water are lethal to insects. This is a broad range insecticide and can be used indoors or outdoors effectively. Caution to users: Wear vinyl or rubber gloves when preparing the solution. The ingredients are in a fine powder form. Wear a filter mask to prevent breathing the dust. Do not allow powder to get on the skin and if you do, wash immediately to avoided absorption into the tissue. If any powder gets on the surface of a counter, clean it off and do not use it around food areas. IT IS EFFECTIVE for the purpose intended. I used this as a perimeter around my home and it works superb. Sprayed ants trailing up a tree over my home, sprayed walked away 15ft and came back the trail was dead.. 2 1/2 month residual.. Also a good residual for spiders and wasps nesting areas. From what I'm reading in the active ingredients this product replaced the Cyper WP. I use it primarily outdoors and it basically kills any and all insects it comes in contact with. Trust me on this one. I'm a certified buyer in Liberty Hill TX. I found the pail size to be the most economic and split it with my neighbor. It comes in individual packets that mixes with one gallon of water. one treatment and there were dead borers all over the ground. This is great stuff !!! Kills just about every type of insect. Lasts 3 months sprayed under eaves and other places rain cannot wash off residue. I think it works up to 6 months indoors in garages and barns to keep spiders away. VERY EFFECTIVE killing Stink Bugs trying to get in during the fall (before winter). Spray does not kill wasps and carpenter bees but irritates them enough to keep them from building a nest. I've been using this product for years around my home, in the garage and out-buildings. Very effective! How long does Cyper WSP last after spraying, and does it treat for cockroaches? 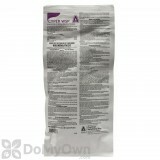 Cyper WSP is targeted to treat for cockroaches to be used indoors and outdoors mixing at 1-2 packets per gallons of water that will leave a residual for up to 3 months after applying. Please see our Roach Pest Guide for more tips and important information about how to Identify, Inspect, Treat, and Prevent Roach infestations. Is Cyper WSP effective on scorpions? Cyper WSP will do a great job for your scorpions. Be sure to retreat once a month. Is it the same as Demon WP or Cyper WP? Is it the same ingredient and how does it differ from the others? 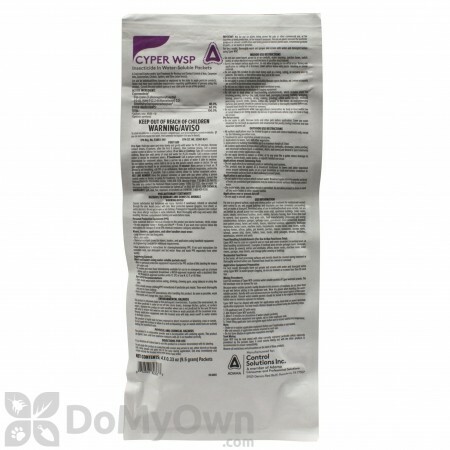 Cyper WSP has the same active as the WP products Demon or Cyper it just comes in a water soluble packet instead of a loose powder for safety restrictions. Does Cyper WSP leave a residual stain or discoloration on surface it is sprayed on? 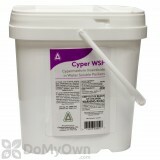 Cyper WSP does leave a white residual that is noticeable on darker surfaces. There are no toxic products labeled for lizards, geckos or any reptiles or amphibians, and given the highly beneficial nature of these creatures there is not likely to be any products for them any time soon.The reason they are on your property is because they can find food and harborage. Take away their food and they will forage somewhere else. Take away the conditions they need for hiding and they will seek refuge someplace else. 1.Exclusion. Total exclusion can be hard to achieve particularly around the roof-line where there are going to be gaps that would be very hard to close off, but there also could be some obvious flaws such as broken vent screens, holes around cables, pipes or wires, or gaps under doors. All of these can easily be closed with brush strips, caulking, copper mesh (Stuf-fit), or some other suitable material. Exclusion is the best choice, because it is permanent, and eliminates or reduces the problem in the future too. If you need to get rid of the lizards that are already indoors the only options are catching them by hand or using glueboards placed in areas where the lizards travel.